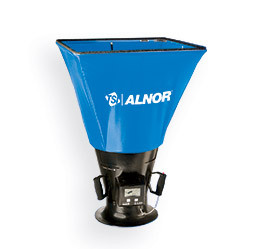 The Alnor® LoFlo® Balometer Capture Hood 6200D is the ideal way to measure very low volumetric flow. Confidently and accurately measure supply or return flows from 10 to 500 cfm (17 to 850 m3/h). This light weight instrument is great for residential or light commercial use. The compact size allows them to be used where full size hoods would not fit such as over bathroom stalls or filing cabinets.